Graduate from a recognized University in any discipline with 2 Years Rural Project Handling Experience. Commerce Graduate from a recognized University. A Senior Secondary School (+2) or its equivalent qualification from a recognized Board. Should have passed matriculation (10th) or equivalent examination from a recognized Board. Rural Urban Shiksha Vikas Sansthan (RUSVS) recruits Project Manager, Assistant Accountant Office Assistant, Public Relation Assistant, Peon posts. Candidates with Graduate, B.Com, 10th, 12th pass experience. It’s Aim to promote Primary to Post Graduation education and skill development program to poor & needy student/ child in india. 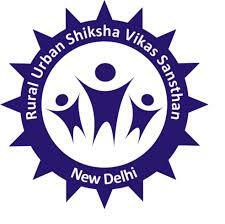 Contact Us: Rural Urban Shiksha Vikas Sansthan. I want work in this field. I m graduate from Ramjas collage Delhi university.